St. Thomas is a family friendly island. There are countless things to do in St. Thomas if you have kids traveling with you. 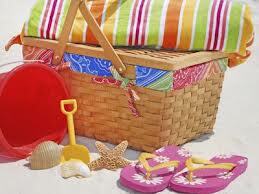 The most obvious activities for families with children are beach activities. No mystery there. Sand and waves are usually enough to occupy kids of all ages for hours. Still aren’t sure where to stay in St. Thomas? Here are the best hotels for families on St. Thomas. When you are ready to venture away from the beach, below are the most recommended activities for families. A fun little marine park next to Coki Beach, Coral World is a great way to spend a half day with the kids. There are several “petting zoos” where kids can touch stingrays, lobster, starfish and more. There are large aquariums and a shark tank. Sea turtles, sea lions and an underwater observatory await. Coral World offers the opportunity to swim with the sharks, turtles and sea lions for an additional fee. Located across from Havensight, the Tram to Paradise Point is a pleasant ride up one of the higher ‘mountains’ on St. Thomas in a ski lift. At the top of the mountain there are shops, a bar/restaurant and some of the best views on the island. If you are able to go in the late afternoon and evening there is live island-flavored music. The tram only runs on days cruise ship are in town. Right on the waterfront in downtown Charlotte Amalie you and the family can take a break from shopping and spend a couple hours fishing. Get a fishing pole or two and grab a chair and relax. Throw your line into the harbor and who knows what you might catch! For children ages 8 & up, take them on a night fishing tour on the beach. A pleasant way to spend a leisurely island evening on St. Thomas. It’s like a mini camping trip and who knows, the kids might land a shark! Ok, so we already talked about hanging out on beaches, but this is the ultimate way to do a beach day. Usually planning a beach day is a pain because you have to make sure you bring towels, sunscreen, chairs, beach toys, floaties, drinks, food, snacks, did we miss anything? With the all-inclusive beach day you don’t have to worry about any of it. They take care of transportation, food, drinks, toys and even kayaks are included. They usually take their guests to Lindquist or Magens Bay Beaches. It would be impossible to try and organize a similar beach day yourself. The Butterfly Garden is a great way to encounter the beauty and wonder of nature. The attraction isn’t large, but it makes up for its size by having a wonderfully lush tropical garden home to butterflies from around the world. They have a entertaining bird show and and a great little gift shop featuring unique hand crafted souvenirs. Located along the cruise ship dock in Havensight. Since most kids won’t be thrilled about walking around all day downtown shopping and sightseeing, a bike ride is a great way to see all of downtown and the many landmarks of historic Charlotte Amalie. The bike tour is self-guided and covers only a few miles but takes you by all of the famous sites. The tour is at your own pace and there are several spots to park the bikes if you want to explore on foot. One of the most exciting activities to do in St. Thomas. Probably not on most parents’ bucket lists, the zipline is a great activity for children. Kids as young as 8 can fly through the air and see the beauty of the island from the many observation points on this 2+ hour zipline tour. Downtown Charlotte Amalie has a few kid-friendly activities. Magic Ice is an ice-sculpture bar. Families may have traveled from somewhere cold to be in the tropics, but it is a unique experience to get layered up and cozy just to walk into what is essentially a big freezer! After Magic Ice, look for an ice cream stand and find a spot on the waterfront to just sit and take in the scenery. Come ride one of the beautiful horses at Golden Age Ranch. Your guide will take your family on trails with incredible views on the east end of St. Thomas. Also, take a ride down to Lindquist Beach for a waterfront horseback ride in the sand! Golden Age Ranch reserves to right to restrict who can ride based on experience, size and age, so definitely call them ahead of time before booking the tour. VI Ecotours offers several different tours with different locations and tour lengths. One of the more adventurous activities in St. Thomas, you can paddle through protected mangrove lagoons, snorkel pristine coral and hike on the almost completely uninhabited Hassel Island. A great activity that involves some exercise as well!